POLL: "Who uses filter for the sole purpose of protecting the lens"
455 voters, 455 votes given (1 choice only choices can be voted per member)). VOTING IS FOR MEMBERS ONLY. I've had one pair of glasses for 2 years and I clean them multiple times a day with my shirt. I frequently go hiking in dusty conditions, tumble in a gym with them on (they fly off and hit things), etc. After those 2 years of use they still have no scratches at all on them and they're a cheap pair of glasses. I'd like to think that if my glasses can handle it, the front element can handle just as much abuse. If I were to go and shoot a rally or rodeo then sure, I'd toss a filter on there just for the peace of mind, but for daily use I just don't get the point. I've seen a definite flare issue caused by a UV filter, after that they stopped going on my lenses. Not only that, I personally find that a filter is actually harder to wipe clean then a lens is (unless it's sea spray, because with a filter I'll scrub that sucker as rough as I feel I need to, I'm a little more gentle with my front elements). I've ponder this same question. I bought Hoya Digital Pro filters for all of L glass because I was afraid the front elements were going to get damaged when shooting weddings. However, I often wondered if that was really affecting my image quality or autofocus. Now I'm going to pull the filters off and run some test shots. Thanks for all of your input. The Hoya Digital Pro line of filters is a marketing scam to pry money out of the hands of those owing digital cameras. They are inferior in light transmission compared to the Hoya S-HMC line with 99.7% light transmission, the Digital Por line transmitting only 97% of the light and similar to the older Hoya HMC line in light transmission. Hoya later came out with Hoya HD line, which transmits 99.35% of light per their claims. I don't know if that's the best comparison...Even the original without a filter looks like complete crap. Why would you ever need 'protection' in an indoor controlled environment? Seriously...? Irrelevant question. It is just a test. No one find an imatest chart beautiful but it is still a standard shooting test. Close up shots of infants/toddlers...rea​ching hands covered with slobber. 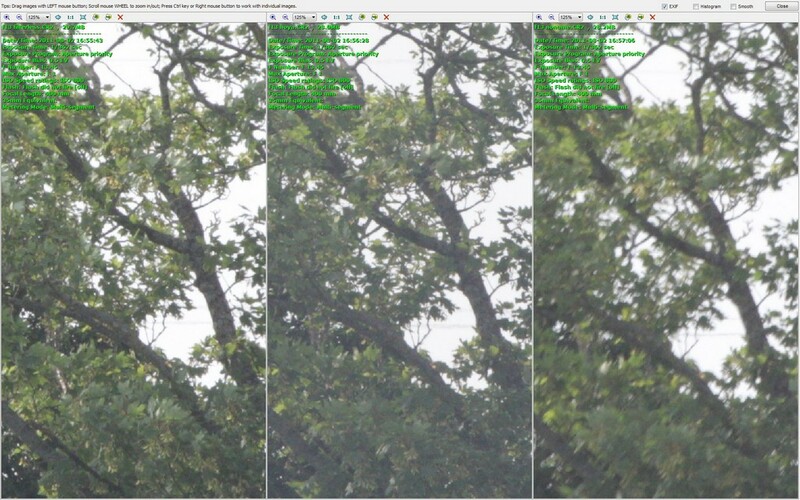 It does prove the point raised by the Subject of another current thread, "Can you see UV filter image degradation ? " You might not always see it, but Yes you CAN, in the right circumstances. That's why one should not simply leave a filter on, 100% of the time. And in the case of some lenses (like th 100-400mm), you should AVOID using a filter as much as possible. Look you complete and utter... They are not supposed to be marvellous framable photos. They were taken as test shots to prove a point. I don't get it. Either use filters or don't. There is no right or wrong here. It's a personal choice...very much like buying insurance for your gear. I've seen tests that show degradation under certain conditions and other tests that show none. Personally, I use a uv filter when I feel I need to protect my glass, not to improve the quality of the photo. I have never seen any degradation in the prints I make from images I shot with the filter attached. But then I only use them under very specific conditions. Those for the use of filters feel that it gives an extra layer of risk reduction, although there will be the occasional loss of image quality. They feel the benefits outweigh the cost (ie, cost of filter & cost in (potential) IQ loss). Those against the use of filters feel that the potential for lens damage is minimal to non-existent, and value IQ enough to take that risk. And, a hood serves the same purpose as a filter without IQ loss, and potentially greater IQ due to the reduction of the glare/flare potential. I think the argument/fight/war comes into play when the argument that an extra piece of glass isn't, doesn't, won't, hasn't, never will affect IQ, and not whether or not to use one for protection. Thank the heavens for the internet. Could you imagine a banquet hall full of photogs, 50% for, 50% against? There would be a bunch of bloodied, maimed, and dead photographers after a couple of hours. lenses with weaker optics, I will tend to avoid the filter as much as possible (50L). Also, lenses with really small elements, I try to avoid using filters as well (40mm pancake, 22mm stm). If anyone borrows my gear, a filter is going on. As for degradation to sharpness, pretty sure the biggest offenders are ND and Circular polarizers. I dont have any issues slapping those on.